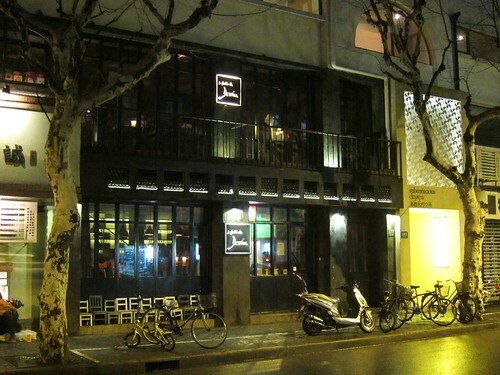 “Le Bistro du Dr. Wine” in Shanghai: To be enjoyed without prescription! Many laugh about Chinese wine culture, often bringing up the example of fine wine being mixed with Coke, but during my 7 days in Shanghai I did see no such thing. On the contrary, Shanghai even has a nice little wine scene, with a panoply of shops (many with the so loved Lafite wines as crown of their selection) and also a few very cosy wine bars. Two times we visited Le Bistro du Dr. Wine, a hip wine bar with bistro flair on Fumin road, it charmed us with its stylish yet unpretentious ambiance and an appealing wine list.